One of the great things about living in Texas can be the lack of a traditional winter with the snow and ice of the north or mountains. I grew up in Michigan, with lake effect blizzards, winter snow, and plenty of cold weather. While I miss the snow, I have mostly adjusted to the mild winters I now enjoy in Texas - it can be the best time of year to be outside. 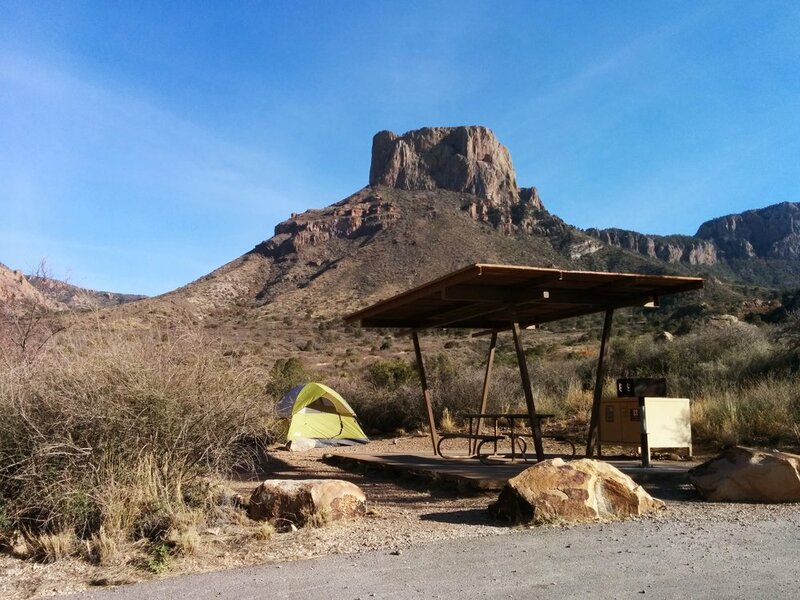 Back in 2014, my other half and one of our best friends embarked on a quick trip to Big Bend National Park. The drive from where we lived at the time was about 8 hours and that is through some of the flattest, most boring parts of Texas that exist. We left our house early, in the dark, with temperatures hovering near 20 degree and arrived to the park with sunshine and slightly warmer air. It was perfect. Sunshine, amazing views along the drive in, and only a few people in the campground - we were off to a good start. We did a little hike of the Lost Mine Trail and then went to finish setting up camp. We pitched the tent, made some food, watched the sky turn pink, and waited for our friend to arrive - she had to work a half day. It was dark by the time she came, but it was really just in time to see the stars. The night sky was insane! There were more stars in sight than I ever though I'd be able to see. We enjoyed staring up, quietly and drifted off to sleep. As morning light broke, we learned we had visitors. As we peeked out of the tent, we saw deer in every direction eating the grass at the campsites. Once people began to stir, the deer moved to less populated areas and empty campsites but were undeterred overall. We made breakfast and prepared for the day of adventure. We needed to see most of the park in one day, as we had to leave the next morning. The park is huge, and knowing what I do now, I realize trying to see the whole place in one day is a bit silly. We were blissfully unaware of how long it would take and had no real idea of what was out there to explore. We followed signs, took scenic turnouts, and it seemed to work out well. We saw a variety of landscapes and learned about the history of the park, which was the best we could do looking back. A highlight of the long day was getting to Santa Elana Canyon in time to see the sun setting on the Rio Grande. We'd walked along the Rio Grande in the Rio Grande Village area but seeing the views from the Santa Elena Canyon Overlook trail was spectacular. 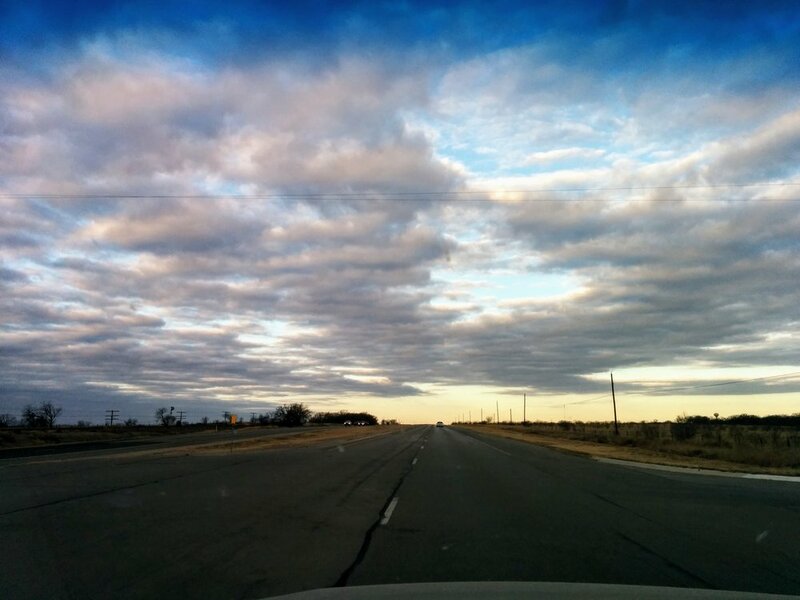 Our day of driving went from one end of the park to the other, effectively using every minute of daylight available. We returned to camp in the dark, tired, and ready for bed. The trip was quick and left us wanting more. I learned about the desert and was able to see how diverse the landscape of Texas can be - in one single park. **This post was created in 1-hour fro the Nature Writing Challenge on Twitter.